Tens of thousands of protesters marched in the Spanish city of Bilbao, located in the northern Basque country, on Saturday to support imprisoned members of the Basque separatist group ETA, ignoring Madrid’s court ban. 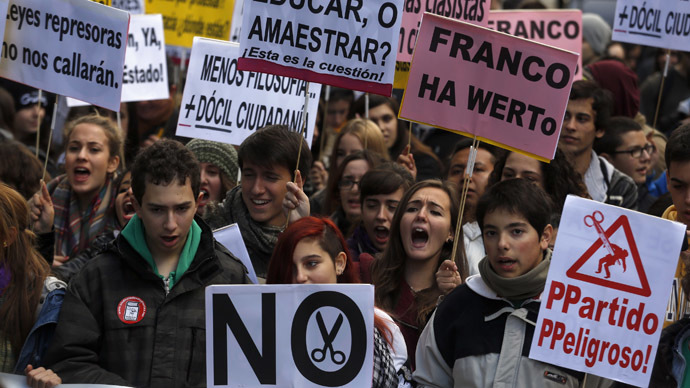 A judge at Madrid’s top criminal court had earlier banned the rally, which originally called for prisoners to be moved to jails closer to their own homes. According to the ruling, the protests were being organized by a banned group. "This is a unique opportunity to show the world our desire for peace and the obstacles that the Spanish government is putting in the way," one of the protesters, Jose Mari Agirre, told Reuters. 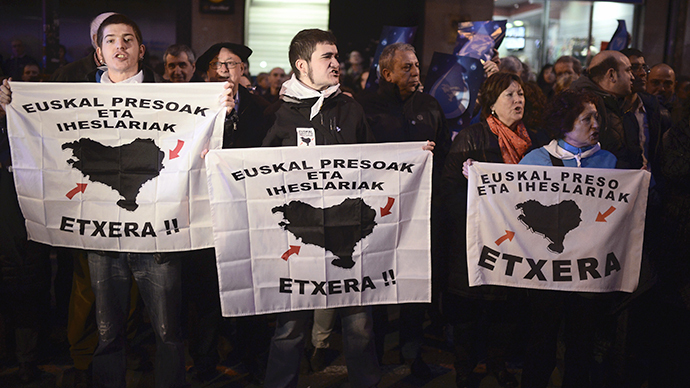 The separatist group Euskadi Ta Askatasuna (ETA), meaning Basque Homeland and Freedom in Basque, stands accused of 829 killings in its crusade for an independent Basque homeland in northern Spain and southwestern France. Its most popular method of attack was car bombs. In 2011 ETA announced a "definitive cessation of its armed activity” and called for direct dialogue with Spain and France. 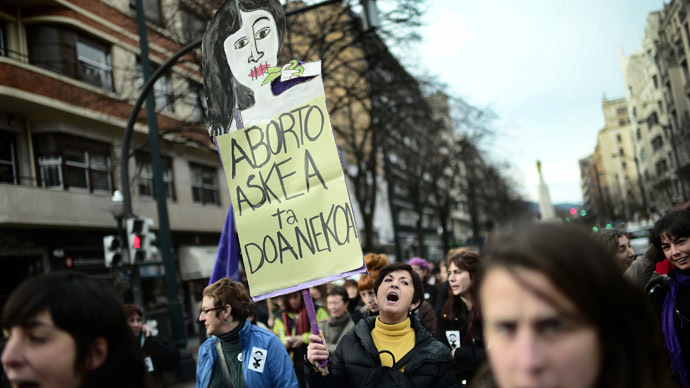 There are about 600 ETA members jailed across Spain. 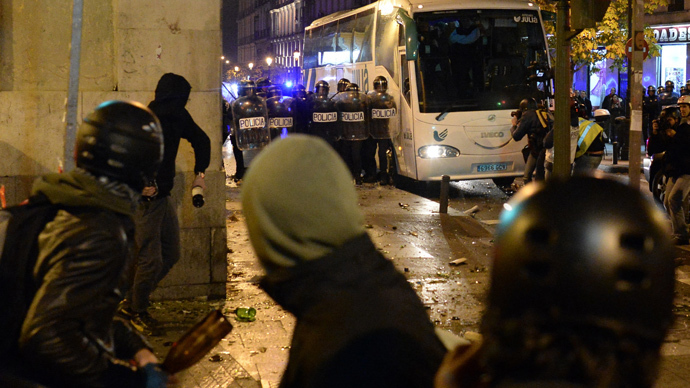 Spanish and French authorities have recently intensified their crackdown against the group, in an effort to weaken ETA through multiple arrests.